Product prices and availability are accurate as of 2019-04-19 13:04:30 UTC and are subject to change. Any price and availability information displayed on http://www.amazon.com/ at the time of purchase will apply to the purchase of this product. PRIMA MARKETING-School Memories: Metal Brads. 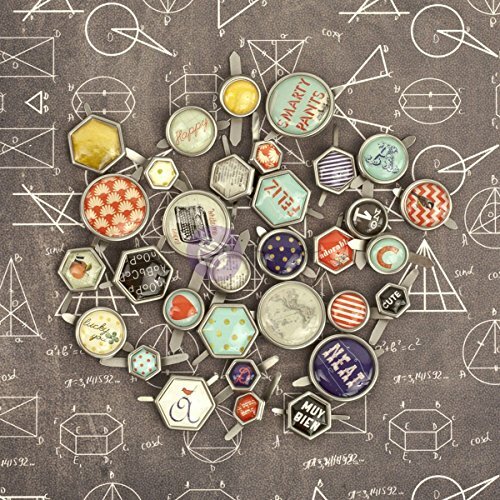 Adds the perfect touch to your school scrapbooking project with these pieces! This 5x4 inch package contains thirty-two brads. Imported.